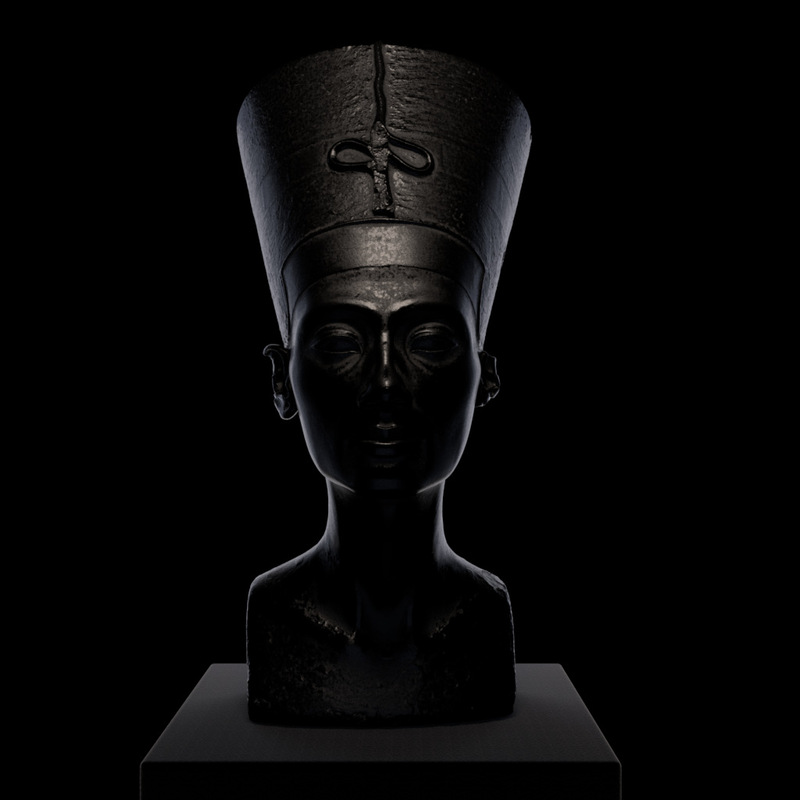 Now that The Other Nefertiti model has been scanned and made publically available, I decided to render it in RenderMan. Here's my take on it. I've attached my scene file as well ... so you can try it out yourself. The base mesh is scanned data and weighs in at just over two millions faces. It's not a bad scan. 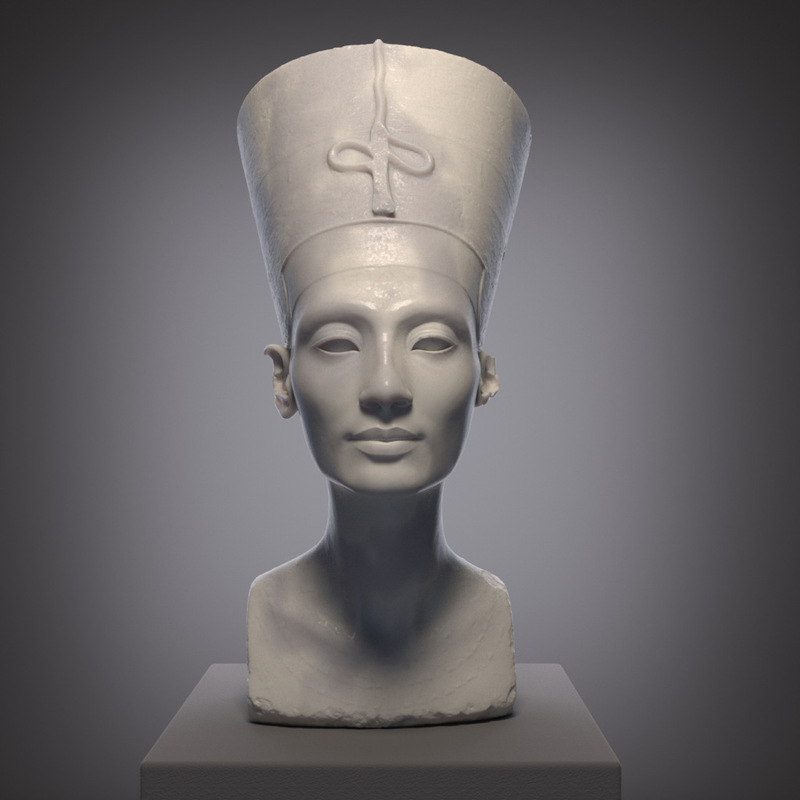 The actual bust of Nefertiti is stucco with a complicated paint job. 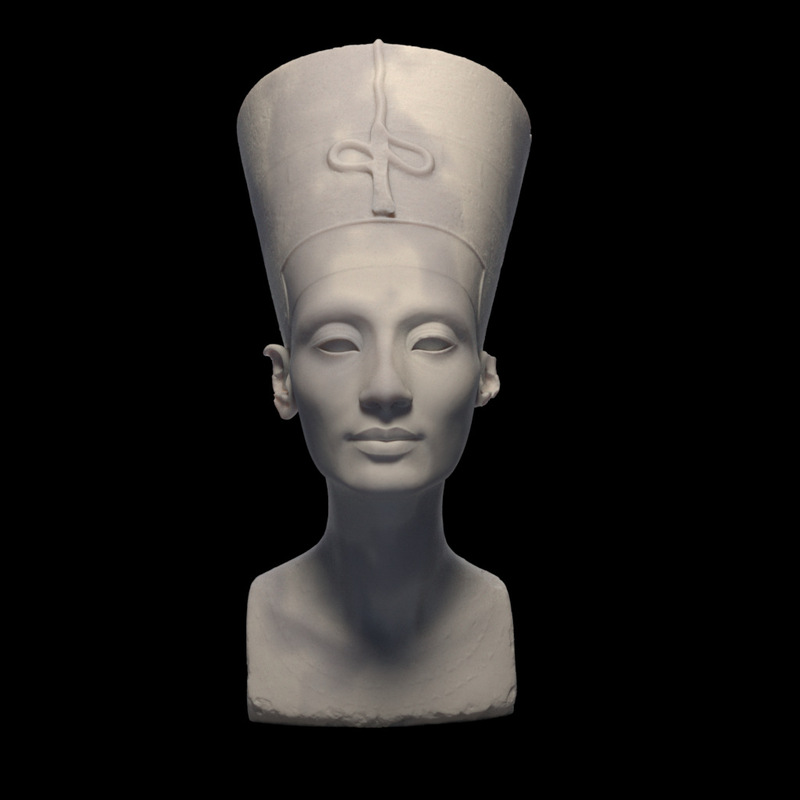 I chose to make my Nefertiti more like marble ... mainly because I felt like it, and didn't have time for proper treatment of the texture. I created Ambient Occlusion and Cavity maps in Zbrush to drive the behavior of the various shader elements. The main elements of the shader are SSS and Specular.